Climate change poses a threat to property and infrastructure up and down the East Coast, and in Portland, residents and planners are starting to devise a response. 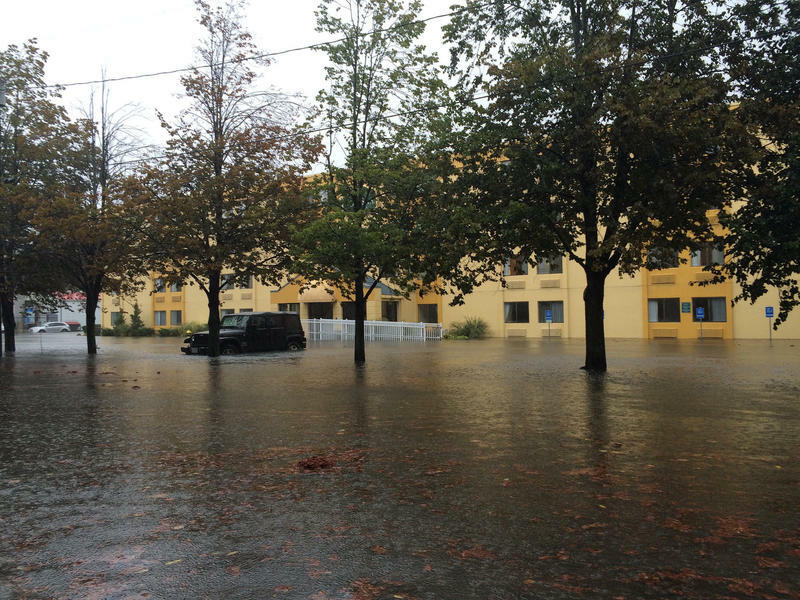 Portland’s Bayside neighborhood is one of the city’s most vulnerable to climate change. Rising sea-levels and more frequent, intense rainfalls are taxing its aging stormwater overflow systems. “The biggest problem is that Bayside is our lowest elevation neighborhood,” says Bill Needelman, the city’s Waterfront Coordinator. Needelman says this area, on a flat plain near the city’s Back Cove inlet, is 4-5 feet lower than bustling Commercial St. on the harbor.